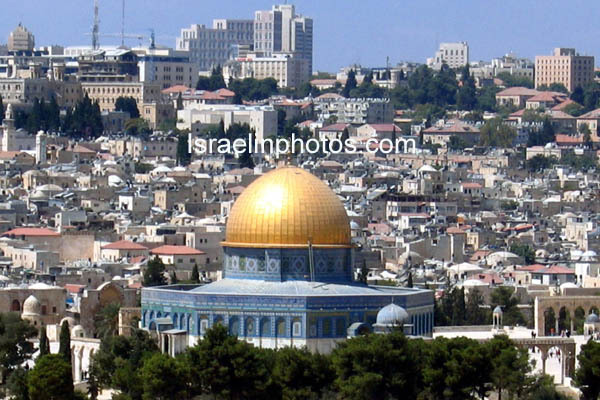 Holy to both Muslims and Jews, the Temple Mount (or Haram ash-Sharif in Arabic) is the most remarkable well-known symbol of Jerusalem and the most controversial either. 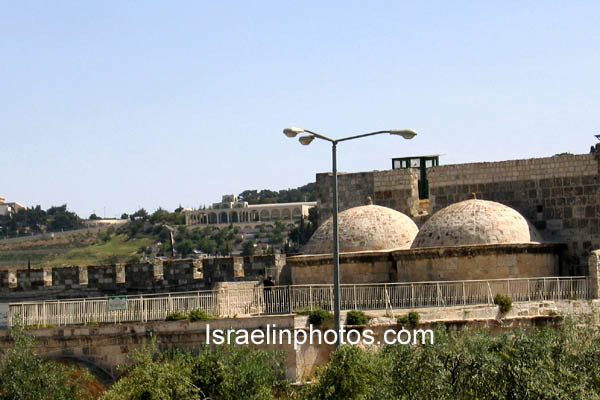 For Jews it is the ancient Mount Moriah, where Abraham almost sacrificed his son Isaac, and where the First and Second Temples were built. 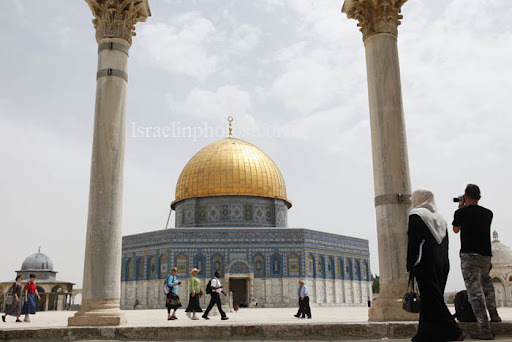 For Muslims it is their third holiest shrine, as said to be the site from where Muhammad have ascended to heaven on his Night Journey (Koran, Sura 1,17). 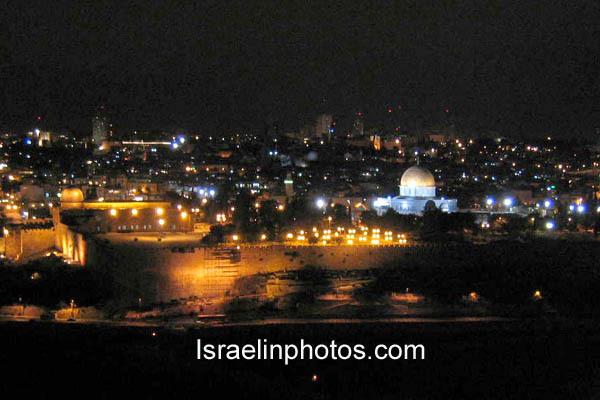 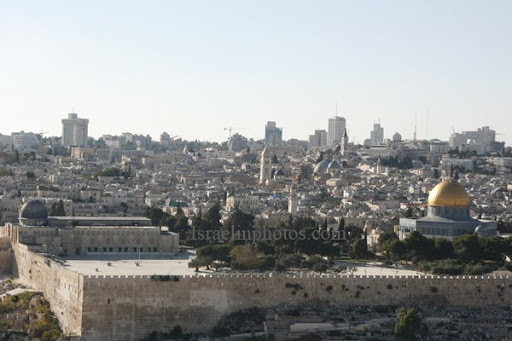 Immediately upon the Arab conquest (638), Caliph Omar decided to make Jerusalem a Muslin center, "El-Kuds" (the Holy). 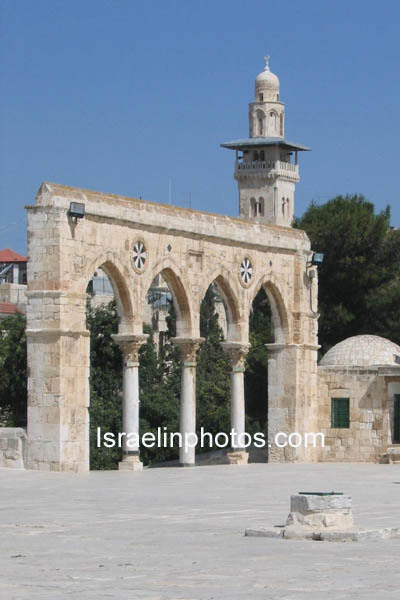 He had this area cleared up of rubbish and debris and ordered the construction of a mosque there. 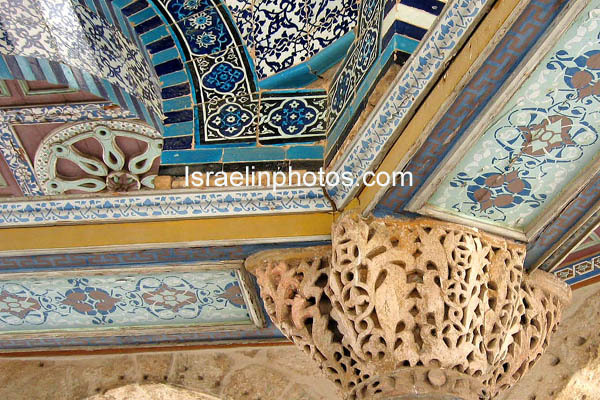 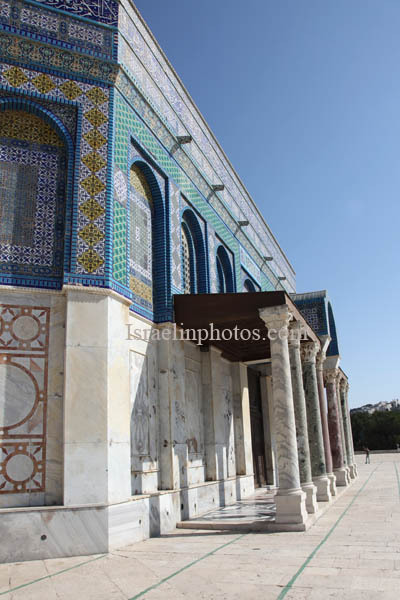 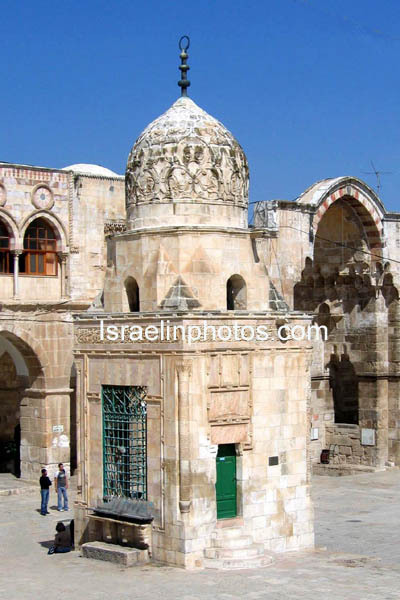 The building, constructed out of wood, was located in the southern part of the Temple Mount. 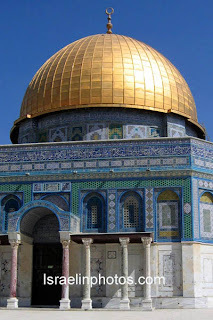 Between 687 and 691 the 9th Caliph, Abd al-Malik built the Dome of the Rock (It is not a mosque but it is a shrine), as part of the Muslims attempt to demonstrate their ascendance over Christianity. 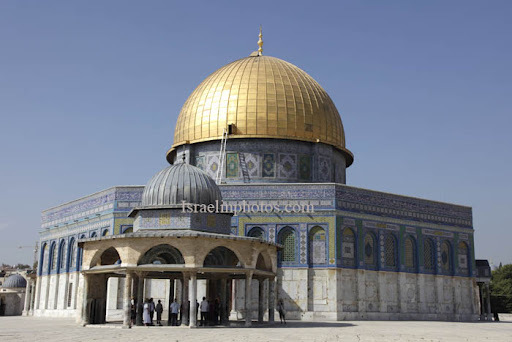 According to tradition, the Dome was built to honor the Lord, while some claim the caliph also wanted to build a shrine to rival Mecca. 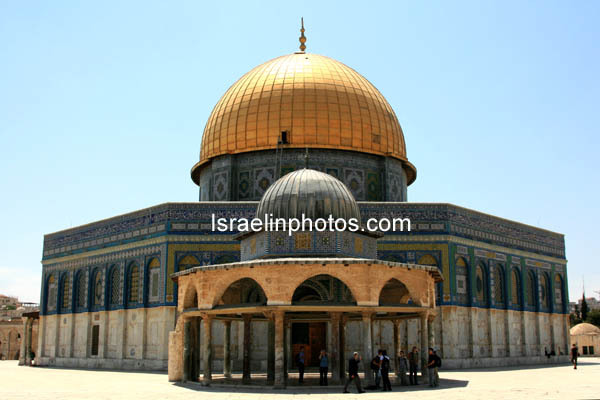 Located in what Muslims call the Noble Sanctuary - which Jews call the Temple Mount - it remains one of the best-known landmarks of Jerusalem. 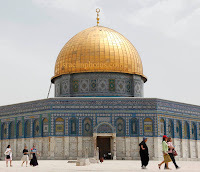 The rock in the center of the dome is believed by Muslims to be the spot from which Muhammad was brought by night and from which he ascended through the heavens to God. 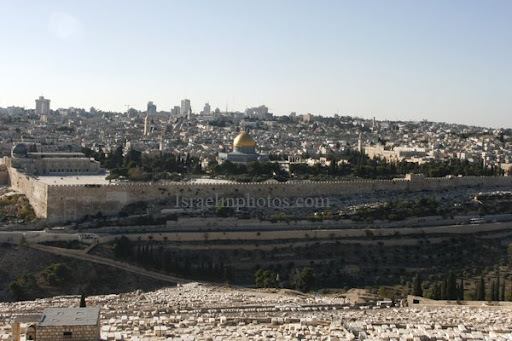 The rock shows the legendary mark of Muhammad's footprint. 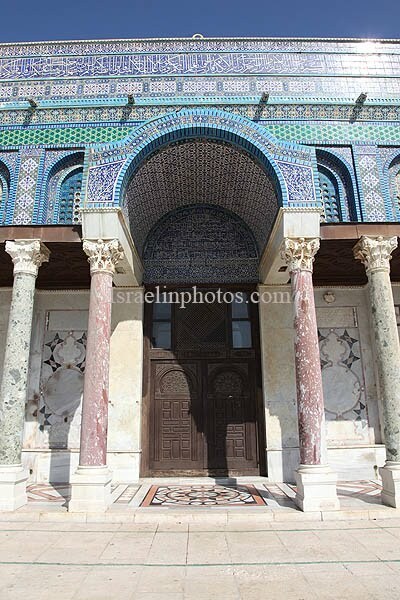 Accompanied by the angel Gabriel, he was consulted by Moses and given the obligatory Islamic prayers before returning to earth. It is a holy place to Muslims. 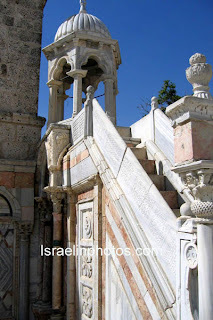 The Jews believe this place to be the location where Abraham almost sacrificed his son Isaac at the command of the Lord, where Jacob saw the ladder to heaven, and within the boundaries of the innermost chamber of the Jewish Temple. 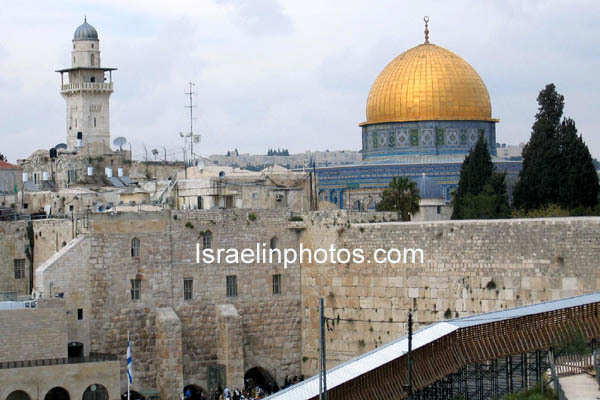 Other Jewish traditions say it is the spot where the first stone was laid in the building of the world. 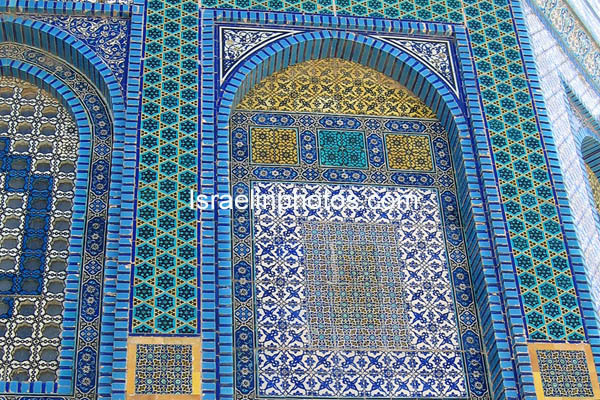 Essentially unchanged for more than thirteen centuries, the Dome of the Rock remains one of the world's most beautiful and enduring architectural treasures. 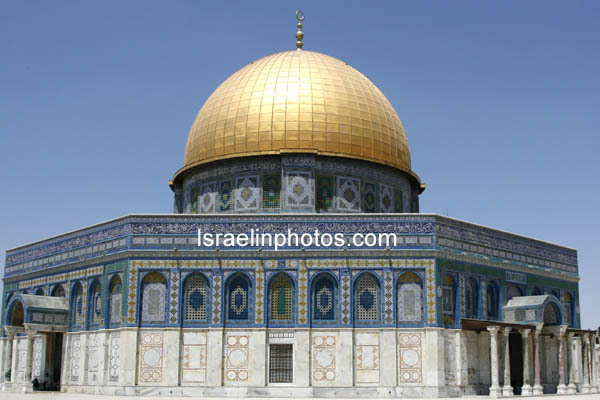 The gold covered dome stretches 20 meters across the Noble Rock, rising to an apex more than 35 meters above it. 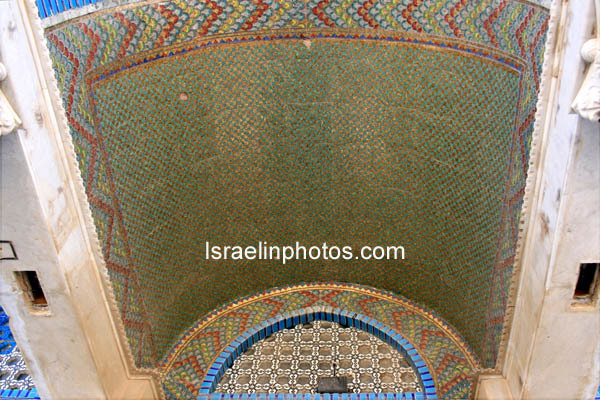 The Qur'anic verse 'Ya Sin' is inscribed across the top in the dazzling tile work commissioned in the 16th century by Suleiman the Magnificent. 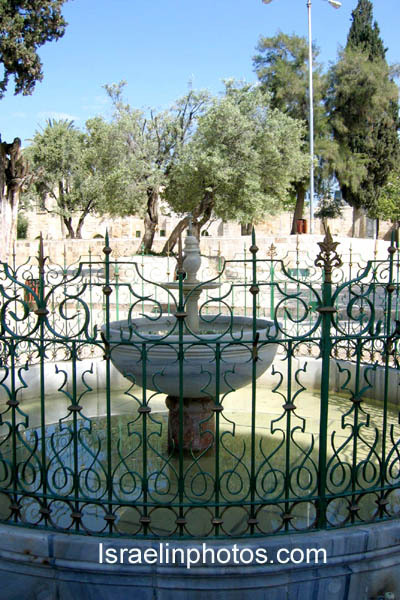 The sura al-Ikhlas (Purity)] which denounces what Muslims regard as the principal Christian errors is also inscribed there. In 1993, 5000 glittering new gold plates replaced the aluminium anodized dome covering. 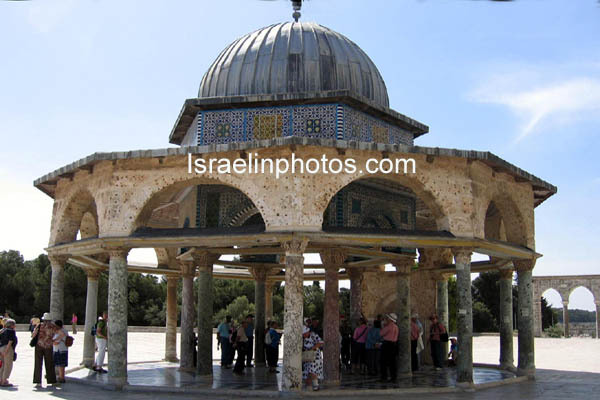 Contributed by King Hussein of Jordan. 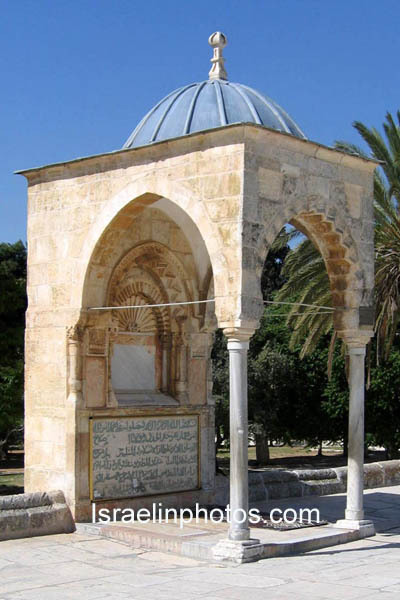 The son of caliph Abd-el-Malik, El-Walid, erected the Al-Aqsa Mosque (Arabic: Masjid Al-Aqsa, literally "farthest mosque"). 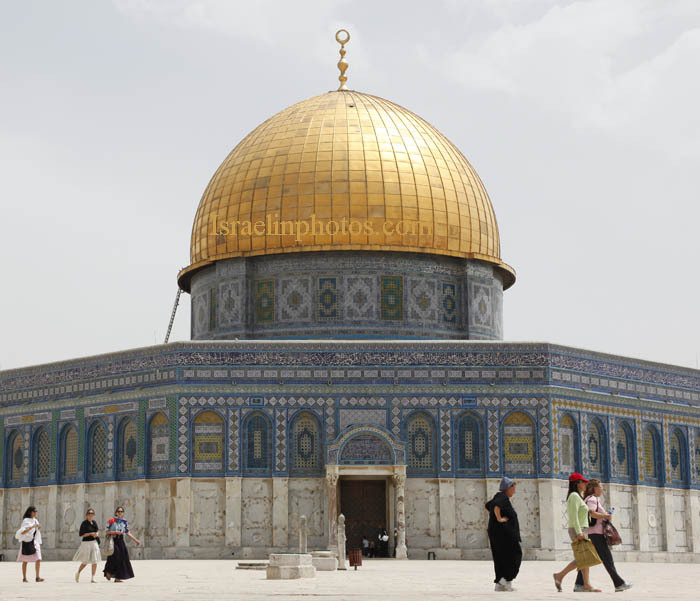 Muslim tradition states that Muhammad ascended to heaven from the Mount in 621, making the mosque the third most holy shrine in Islam. The structure has been rebuilt at least five times; earthquakes destroyed it at least once. 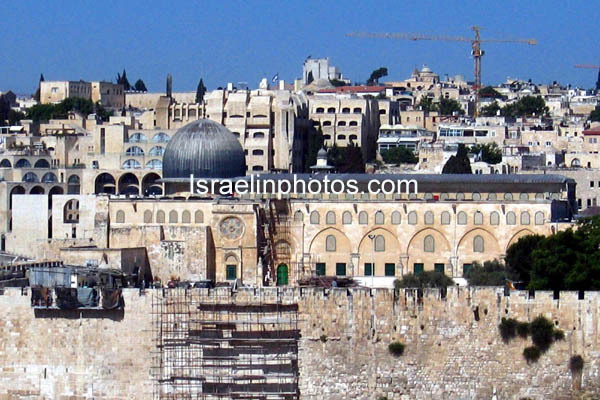 The last major rebuild was in 1035. 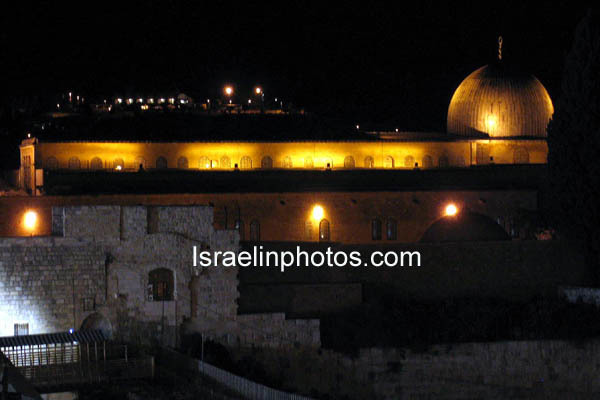 During the Crusades, Knights Templar had their spiritual headquarters in the Dome of the Rock. It was thought to be a remnant of the Temple of Jerusalem. As such, it appeared in one of the seals of the Knights and was a model for Templar churches across Europe. 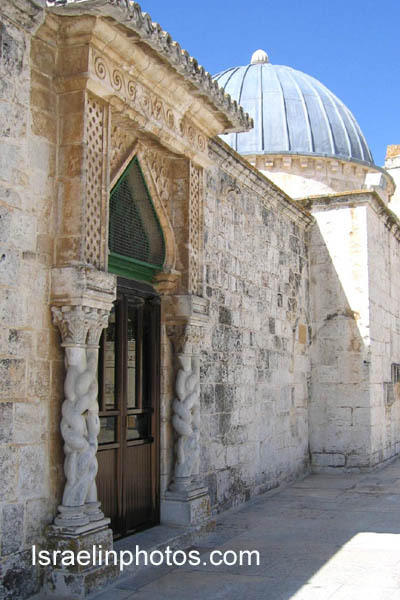 The Al-Aqsa mosque was used as a palace during the Crusader period from and called it the Temple of Solomon, in the belief that the mosque was built on the site of the original temple.